What is a Cap Table? How to Make a Cap Table for your company? Now that you have registered your company and have everything in place in terms of the important documents, what is the next thing to do? Well, your work as a founder doesn’t just end at registering a business and running it. As you increase the members of your company, you would need a place to organize all the shares. This information of shareholdings is all included in a company’s cap table. This article would give you all the information you need to know about cap tables, why it is needed, and how to make one using the software. A cap table, which is short for capitalization table, is a spreadsheet that lists all of the securities of a company along with who owns them. The company’s securities include options, warrants, stocks, and others. Basically, it is a ledger that holds all the ownership-related and equity-related details. For most startups, a cap table is a very common thing before any important document is prepared for the company. A cap table in the simplest form of a list of shareholders and how many shares each of these shareholders own. And since the cap table consists of shares, a cap table grows as the company expands to include more employees and investors in the business. There would be many who come and go, and with this, the cap table would keep evolving with all the information of each and every transaction recorded. All the transactions would be based on the shares sold, returned or bought. How to Make a Cap Table? With the brief idea of what a cap table is, let us understand how to make a cap table. It is common for people to use an excel spreadsheet for creating their cap table. And it is alright for a company that has just begun its journey. But as your company grows, you would want to move from the spreadsheet and use a cap table software for yourself. The reason is simple. With many investors and a complicated cap table, you might miss out details or make a wrong decision that would cost your company. Moreover, you may not have enough time to always sit and edit the table. And if you hire someone to take care of it, you would be spending a lot of money on something that can could be handled in a much cheaper way. To make your task easier, you can choose from the many software online that can help you easily, like Eqvista. Unissued shares: The final number of authorized shares that are not yet issued. Fully diluted shares: The total outstanding shares in case all the shares are converted or exercised. It becomes easier for the shareholders to find the value of the shares that they own. Types of shares owned by each shareholder: This normally includes common stock. But in case it is different, you would have to add the type in the table. Shares reserved for the stock option plan: These are the unissued shares that have been reserved in the “option pool” for giving as compensation for any future employees. Percentage of fully diluted shares: This shows the percentage of the ownership of the shareholder. The shareholders: Has all the names of the shareholders of the company. Outstanding shares: This is the overall shares that is held by the shareholders. Authorized shares: This is the total number of shares that the company can issue. Stock options: The overall amount of stock options that the shareholders own individually. Option remaining pool: This shows the remaining shares that are to be issued to someone. A cap table isn’t just about the table. There are added legal documents as well, which are involved with the various transactions. The process could get messy if you keep everything on an excel table and the ownership of the company grows. This means that you would have to create a separate file for it. This could cost you a lot of money and time. But with a software, all can be done just from one place and electronically. In short, you can share the electronic issuing certificate online and also have a copy of it. Why is a Cap Table Important? Now, with the understanding of what the cap table is, you need to know that it is important for you to have one. The reason is simple, not having a cap table can cost a lot, and it helps you to be aware of what is happening in your company. Total shares in your option pool. Total shares owned by individual stockholders. Total amount of outstanding shares, by type. How much of ownership of the company you hold. The amount of convertible debt. Any alteration in the percentage of the ownership as the shares in the stocks are sold, converted, awarded to new employees or vested. Moreover, using a cap table software would help you stay ahead for compliance issues. You would have all your legal documents in one place, making it easier for you to focus on other things about your company. Instead of spending time in creating the table and maintaining it in Excel, you can just add what you want in your cap table software in 5 minutes or issue the share electronically and get back to growing your business. How to Use a Cap Table? With all the understanding on how a cap table works and how to create one, let us now understand how to use a cap table. The main reason for using a cap table is to understand how to make the right decisions that would impact the equity structure of the company positively. Let us say that you want to raise another funding for your company. For this you would have to be sure about the amount of shares you can give away without diluting your ownership. For whatever reason you need to give out shares, the cap table would help you make a proper choice, so that you do not lose your ownership. In short, you would be able to propose a new equity structure with the cap table in front of you. As soon as you create a new company, the cap table is the place where you would have to add the breakdown of the company shares in writing to keep records. Even though the discussion of the initial equity distribution is tough, it is an important part that has to be taken care of when a company has been formed. The best way to have it done is by outlining the distributions of the team and using the cap table to ease the day one conversation. When new employees are hired, you would want to align what you are offering them with the main goals of the company. And for you to do this, you can offer them stock options of your company. This would allow you to easily match the contributions of an employee with a suitable amount of stock. You can then award the employee who is doing well in the company. And when you need to offer them shares, the cap table is the thing that can help you see how many options are authorized or for you to award at that time. You would also be able to see the total number of options that you have used until that date. 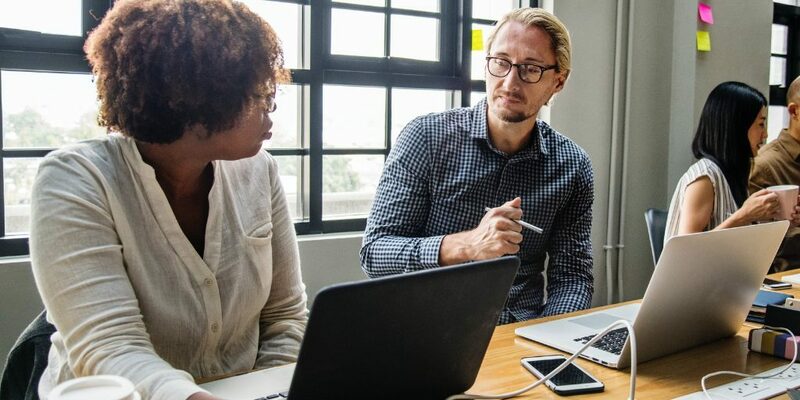 With a clear snapshot of what the ownership structure of your company is, you would be able to run a proper what-if analysis on a financing round. This means that you can easily change the values to see how these changes would affect your business. It would help you understand what would happen to your share of the company and the control over it in different levels of valuation. Moreover, you would also be able to evaluate the other factors, such as if a new option is issued before or after the funding round. You would be able to see and understand about the various situations and effect on the company ownership structure. How can Eqvista help you? A cap table is not just a simple table with shareholder information in it. It is the key for successful companies to properly control and manage the ownership of their company. This powerful software can be handled from one place, and help you may important business decisions for funding your company, hiring and rewards employees, and exit scenarios of your business. Whatever the reason may be, don’t forget to put down the transaction details in your cap table. 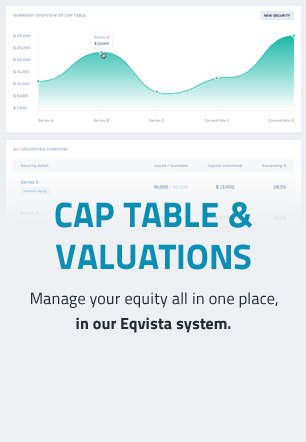 Eqvista is a FREE software that allows you to have all your shares issued electronically as you record them in your cap table. It would also help you to stay compliant to the various rules placed by the government regarding the equity in your company. You would be able to see all that your shareholders are doing and keep the history of your company’s equity in one place. These features would help you maintain your cap table easily while you spend less time for maintaining it. Check out the Eqvista application here to try it out now!